The Pakistani skipper, Misbah-ul-Haq, hailed the performance of the hosts Zimbabwe, who crushed the visitors in the 2nd ODI with a huge margin at Harare. The home side defeated the Green Shirts with a big margin of seven wickets in the first One Day International of the three match series that was played at Harare Sports Club, on Tuesday, August 27, 2013. The visitors landed in Harare with their full strength team and made an impact on the home side by beating them in both Twenty20 games played prior to the 50 over matches. Pakistan scored 244 runs for the loss of seven wickets in the allocated overs and they were, perhaps, 30 runs short of the required target. 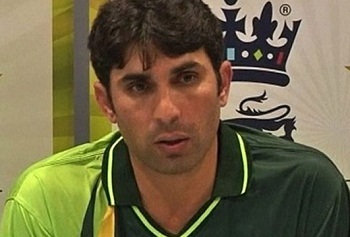 Misbah-ul-Haq led his side from the front and played an anchor’s role while he was batting in the park. He came in the center when the Green Shirts had lost their two openers, Nasir Jamshed and Ahmed Shehzad, for 27 and 24 runs respectively as the score reached 80 in 19.5 overs. The entire middle and lower order batting revolved around Misbah-ul-Haq and he kept his end secured for a masterly knock of 83 from 85 balls with 2 grand sixes and 3 fours. Mohammad Hafeez was the other prominent batsman who smashed 70 off 71 with 3 towering sixes and 6 fours as Pakistan managed 7-244 in 50 overs. 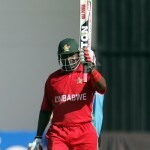 The experienced duo of Hamilton Masakadza and Vusi Sibanda provided a rising start for the hosts. They demonstrated aggression during their stay at the wicket and were punishing the rival bowlers as and when required. 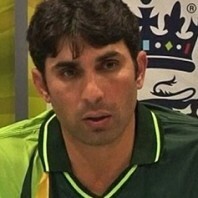 Misbah-ul-Haq utilized six bowlers to dislodge the partnership but he had to wait long until the pair was separated. The openers provided a match winning partnership of 107 in 23.3 overs and made life easy for the incoming batsmen. Vusi Sibanda departed first after scoring 54 off 82 deliveries with 6 fours and Masakadza kept on cruising at his end with his lavish batting. Hamilton Masakadza plundered 85 runs off 104 balls with 1 six and 9 fours and became the second victim at 176 after 37.4 overs. The Zimbabwe captain, BrendanTaylor, and Sean Williams were at their best on the day and took their side on the victory stand with a determined batting. The hosts hammered 246 in 48.2 overs after losing just three wickets and took the match away from Pakistan. It took Zimbabwe 15 years to beat Pakistan in any format of the game and they finally accomplished it at their home ground and in front of their home crowd. They won the previous ODI against the hosts, Pakistan, by six wickets on November 22, 1998, at Sheikhupura Stadium, under the captaincy of Alistair Campbell whereas the Green Shirts were led by Aamer Sohail. Neil Johnson played a sterling innings of 103 off 120 balls comprising 13 fours and clinched the encounter for his side. Zimbabwe is 1-0 up in the three ODI series against Pakistan and they are in a position of winning the series for the first time if they carry on playing like that. Misbah-ul-Haq is concerned about batting, bowling and fielding of his team and he hopes that they will click in the remaining games. The second and third One Day Internationals will be played at the same venue on August 29 and 31, 2013.